This class is open to any child who has completed Kids Learn to Sew. In this 1 day class, kids will utilize skills practiced in their Seams and Samples workbook to create a holiday stocking with fun peppermint/candy cane fabrics. 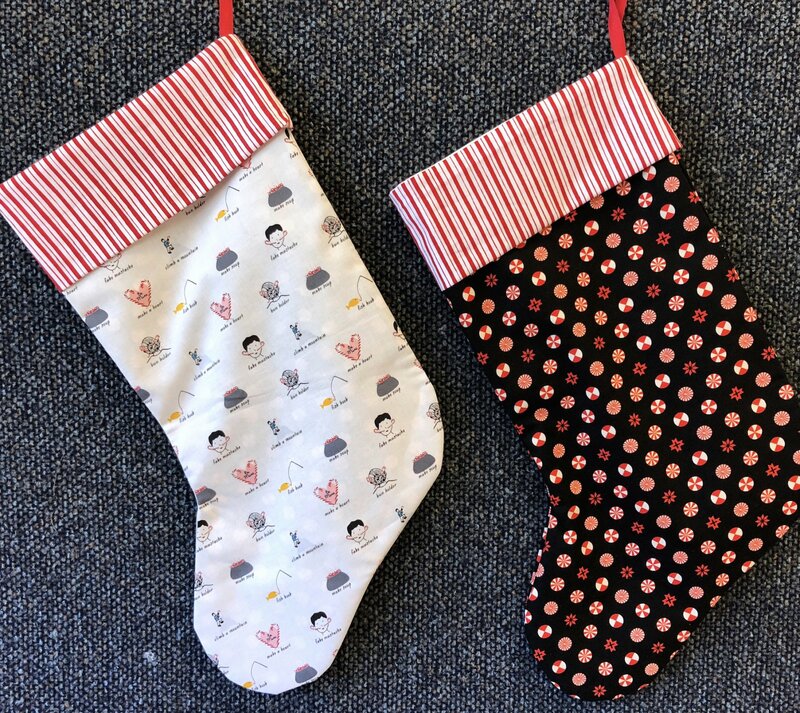 Students will be cut the fabrics for their stocking, pin or clip fabrics in place and sew curved seams to create a fully lined stocking with a cuff. Note: This is a kids only class and as such parents are not allowed. We want kids to view the classroom as their sewing clubhouse. Since the store is not open for shopping during the class sessions, parents are encouraged to enjoy the class time without their kids. However, if you wish remain nearby, parents will need to wait in the parking lot.